There are currently only (2) reviews for this item. The Nitto Crosstek is sesigned with versatility in mind for 1/2 ton trucks and SUVs. Circumferential grooves and 3D Multiwave sipes provide excellent wet traction and performance. Features Nitto�s brand-new wear resistant compound to improve overall durability and give you confident handling and performance on your daily or recreational drives year-round. 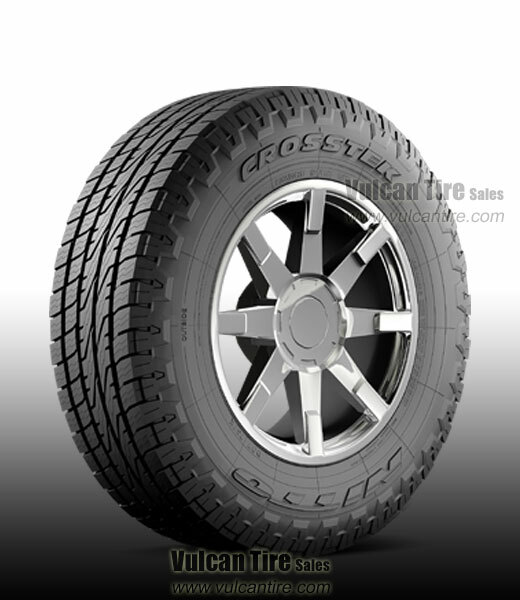 Crosstek tires are backed by a 60,000 mile limited treadwear warranty. I WANT ANOTHER SET! I'VE BEEN THROUGH TWO OTHER KINDS OF TIRES AND HAVE NOT BEEN HAPPY. I WANT MY CROSSTEKS!! !